The owner of a Warren County dog breeding business is now facing several charges. Forty-one-year-old Lindsey Morrow faces charges that include animal neglect, animal torture, theft and fraudulent practice after Warren County Deputies and the Animal Rescue League found three dead dogs and 19 neglected dogs at her business near Sandyville earlier this month. The ARL says the dogs found alive at the Bully Breed Miracle Network and Rescue were underweight, had sores, and needed hours of cleaning to remove fur that was covered in urine and feces. 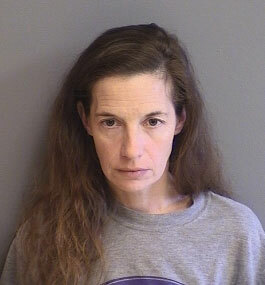 Morrow is being held in the Warren County Jail on a $53,000 cash bond. Photo courtesy of the Warren County Jail.